*Due to extreme obstacles, an additional $15 mandatory insurance fee will be added. 9am Competitive Heat. *Due to extreme obstacles, an additional $15 mandatory insurance fee will be added. *Wave times are 11 AM and 1 PM on Saturday and ONLY 11 AM on Sunday. One free spectator pass is included with SavageJR registration. 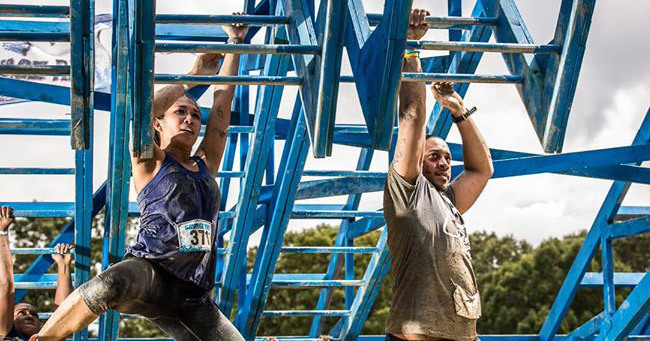 Savage Race is an intense 5-7 mile obstacle run with 25 world class obstacles, mud, fire, and barbed wire. Completion requires teamwork, courage, and the will to push your limits farther than you ever have before. Run individually or create a team!